Walking to work one morning a pickup truck slowed down as it passed me and quickly pulled over to park. The driver jumps out and runs across the street towards me yelling "Miss! Miss!' and cuts in front of me, blocking my way. Completely out of breath he blurts out, "You won't believe this but aliens visited me last night and told me that they would take me to their ship for testing tonight unless I get the most beautiful girl in the world to go out with me and you are by far the most beautiful girl I've ever seen. Would you go out with me?" 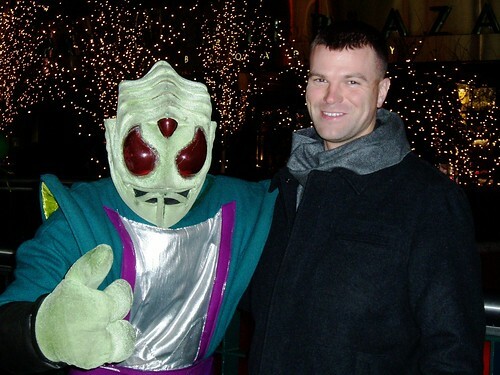 Fortunately for the aliens, I was married at the time. ~ by Oden on September 2, 2010.